Katherine Middleton leads a charmed life in her million-dollar Georgetown brownstone. The daughter of a world-renowned anthropologist, she is happily married and employed by the Smithsonian when her world comes crashing down after the discovery of her husband’s secret life. An impulsive decision to hide out on Virginia’s Eastern Shore, in order to reevaluate her own life, leads Kate to earth-shattering revelations about herself, her family, and her future. Chincoteague Island, Virginia, introduces Kate to a world where people can still rely on each other, where hard work pays off, and where one’s past does not dictate the future. 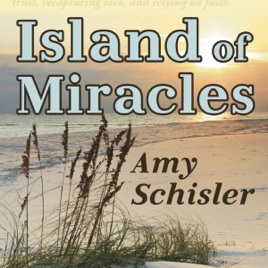 Island of Miracles is a story about rediscovering oneself, restoring trust, recapturing love, and relying on faith. Island of Miracles is a 2018 winner of a Catholic Press Award and an Illumination Award, placing it among the best Christian works of fiction of 2017.